From the days when the young son of Charles the Simple was smuggled out of Laon, hidden in a truss of straw, and brought to Athelstan’s Court at Winchester, Hampshire has given refuge to many a fugitive from France. The founder of the Laverstoke paper mill was one of these. He was a descendant of a Castilian noble in the train of Elvira, daughter of Alphonso IV, on her coming to France at the close of the eleventh century, who became the ancestor of a powerful family in Languedoc and Dauphine. The de Portals for over two centuries were Capitols of Toulouse, but when the Reformation of the Christian faith, like its inception, brought “not peace but a sword”, they were among the first of the French noblesse who suffered for their convictions. A century completed their overthrow, for Louis XIV broke the Charter which protected what little liberties they might enjoy. There-with the Huguenot de Portals lost lands and lives, but three of the family escaped from torture and death to find eventual refuge in England. Of Jean Francois de Portal’s escape and after adventures there is no record beyond that he died in London years later, but the tale has been handed down how, when ruin came on the Chateau de la Portalerie, an old nurse concealed the children in an oven, and when this homely refuge had baffled the searching of the angry soldiery, young Henri de Portal and his brother, Guillaume, were hidden in wine casks and were safely smuggled by faithful friends and servitors on board a lugger. Their perilous journey ended safely, and it is believed the friendly port at which they landed was Southampton. Friendly, that is, for refugees who counted freedom of faith a dearer possession than lands and country, for there was little friendly feeling towards France in the seaport her navy had so often attacked. To Southampton, at any rate, young Henri eventually came, and there found already established the Huguenot colony that centered round the French church of St. Julian. With the aid of his fellow emigrants the lad obtained employment in one of the mills at South Stoneham, run by those of his tonfrires who were skilled in the manufacture of paper. There he learnt his trade and, more important still for the fortunes of himself and his family, met Sir William Heathcote, then, like himself, a young man. Report tells how the charm of the clever young Huguenot won him the friendship of his influential neighbour; we find the Squire of Hursley actively forwarding the Frenchman’s fortunes, and when the tenant of Bere Mill, near Whitchurch, died in 1710 Sir William offered the lease to his friend, the widowed Madame Deane being very thankful to be quit of it. To Bere Mill accordingly came de Portal with a contingent of French workmen. Later it was to this quaint old mill-house of yellow-washed brick Henry Portal brought his bride Dorothy, the daughter of Mr. Henry Hasker of Overton. The paper mill proved a successful venture, and commercial papers of all kinds were supplied from it so largely that in 1718 a lease was taken of the neighbouring mill of Laverstoke, in order to extend the business. In 1727 Henry Portal obtained the privilege of making the notes of the Bank of England, in addition to his other work. It was doubtless a fortunate circumstance for him that at this juncture Sir Gilbert Heathcote, the uncle of his friend at Hursley, was Governor of the Bank of England. So greatly did the business prosper that Henry Portal built another mill at Laverstoke. Thus for nearly 200 years the business has been handed down from father to son, an almost unique instance in the history of English manufactures. The paper used has always been chosen so as to give a distinct look and feel. It is 80 to 90 gsm paper manufactured from cotton fibre sometimes mixed with linen and is impregnated with polyvinyl alcohol or gelatin to give it extra strength. One of the first papermakers was the firm started by a Huguenot, Henri de Portal, in 1712 at Bere Mill and in 1718 at Laverstoke Mill both on the river Test near Overton in Hampshire and carried on by his son Joseph Portal who bought Laverstoke Manor. They produced paper for Bank of England notes from 1724. They also invented the metallic thread incorporated into the paper which started off within the paper and latterly is allowed to come to the surface as a dotted line called ‘windowed thread’. Henri Portal’s contract were of plain paper, without watermarking. Those from the Laverstoke mill had a watermark border of a loop pattern running around the edges of the sheets, and ever since 1725 the Bank of England notes have been watermarked. Henri Portal died at Freefolk Pryors, adjoining Laverstoke Mill, in 1747. He was successed by his son, Joseph Portal, who operated the mill until his death in 1793. His son John Portal, continued the fabrication of the Bank of England notes for a period of fifty three years, until his death in 1848. The paper mill is still continued by the Portals – a record of over two hundred years in the same family. 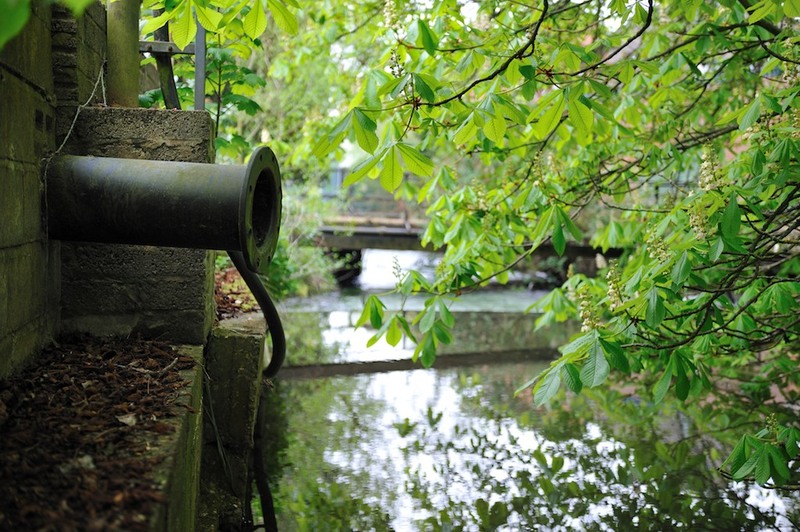 Plans for a major housing development at the historic Laverstoke Mill have been re-submitted. Developer St James Group has applied to Basingstoke and Deane Borough Council to develop 72 dwellings at the mill in London Road, Laverstoke. There will be 52 homes formed from converting the mill buildings and 20 will be new-build. A heritage room and associated facilities for community use are also included in the plans. The revised application involves work to repair and restore three Grade II listed buildings, demolish at least 25 others and restore 17 more at the 1.97 hectare site. The buildings to be demolished are newer and will make space for car parking and open space. The site is next to Laverstoke village, in a conservation area, and applications for listed building consent and conservation area consent have also been submitted. The mill buildings were constructed by the Portal family for the production of bank notes in 1724 and were used for related purposes until 1963. A company that developed and manufactured water treatment systems later occupied the land before vacating in 2005. Since then the site has remained vacant. In October 2008, a planning application for 78 dwellings was submitted to the council, which attracted nine letters of objection, but it was withdrawn in November 2009. The revised scheme has been produced to address concerns about the design and layout of the new buildings. It reduces the number of new-build homes from 26 to 20, revises an access point, relocates parking to improve the Mill House setting and re-routes the heritage trail along the river to give a better view of the historic buildings backing on to the river. The new buildings will be simplified to be more in keeping with the industrial character of the site. Since the new plans were submitted one person has objected. PCI Membranes is the specialist filtration and separation company. Launched in 1967; PCI Membranes has developed expertise using all of the leading tubular, polymeric crossflow membranes and membrane configurations available on the world market and is therefore ideally placed to match a membrane to a specific application. ITT Industries, Inc. (White Plains, NY; www.itt.com) has purchased the assets of PCI Membranes from Thames Water (Berkshire, U.K.; www.thames-water.com). The acquisition will expand the capabilities of ITT’s Sanitaire Div. (Milwaukee, WI) in filtration and disinfection. PCI adds chlorination disinfection technology to the group through its Portacel div. in Winchester, U.K. In addition, PCI’s membrane technology will be leveraged within Sanitaire to develop both membrane bioreactor and secondary-effluent filtration products. 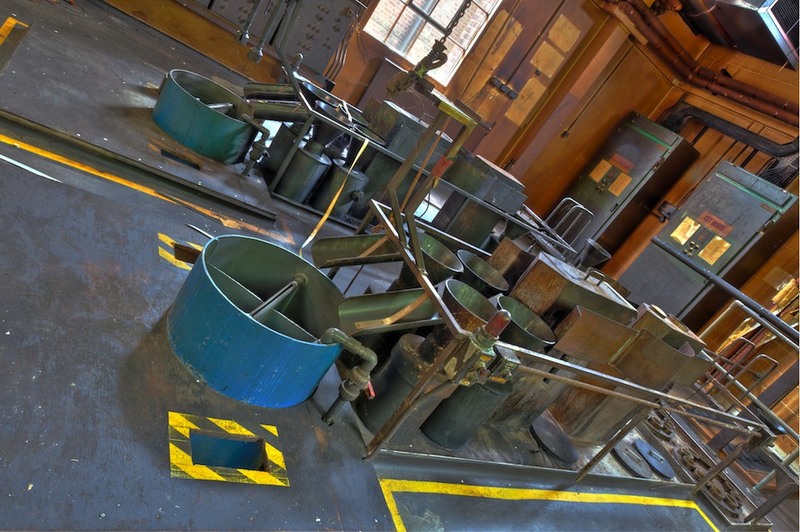 There is sadly no trace of what must have been an impressive array of equipment in use during the paper manufacturing process (steam heated drying cylinder!) just some fairly nasty looking chemical processing equipment which has turned everything in the room the same colour as Dot Cotton’s lungs. The site is remarkable for it’s total absence of graffiti or other vandalism despite a sizeable dormant period. I enjoyed very much walking around the irregularly placed buildings during this solo explore and will be sorry to see the day when such an important part of English fiscal history succumbs to the bulldozers.